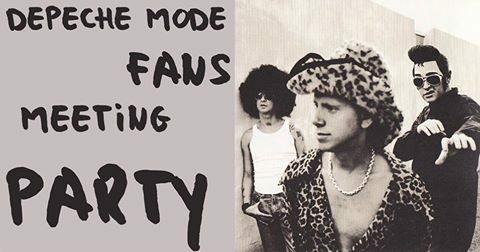 DM Fans Meeting Party Vilnius Lithuania. Event for the Depeche Mode Fan Club “Satellites” Lithuania -Paviljonas -Vilnius. Djs: special guest -Anthony Grain of Blitz Music (UK) AND Arnas of Satellites. Playing all DM greatest hits including remixes rare tracks and a good selection of Blitz Music 80’s taking you on a journey through the English Synth , New Romantics, New Wave. Each depeche mode tourenriches us with new songs, discoveries, memorable travels, and most importantly the people we met. The satellites club is open for everyone whom the mostimportant things is the general “DM religion”, not just beloved band but lifestyle or point of view …..so, we invite you to meet all devotees! ..Get in touch ,something to do and celebrate new life. ADMISSION IS 3 EURO.